I agree with Ripple Music‘s Todd Severin when he says that the best is yet to come for Louisiana’s Forming the Void. That was the impression I got watching them at Psycho Las Vegas, and their 2018 album, Rift (review here), likewise showed off the progressive potential still inherent in their sound. What Severin leaves out of that statement is the role his label will help play in getting Forming the Void to that next level in their approach, as the band will start work on their next album and Ripple Music debut early next year after rounding out 2018 with a few select live dates in Texas and Louisiana. Whenever the record shows up, it’ll be welcome around these parts. All the best to the band as they embark on their next offering and kudos to band and label alike on the union. Seemed somewhat inevitable, maybe, given Forming the Void‘s multi-layered approach and the considerable response it’s gleaned for them, but a killer fit just the same. One looks forward to what’s coming. Ripple Music is thrilled to announce the signing of one of 2018’s biggest and best breakout acts, Forming the Void. Following the release of last year’s critically acclaimed album, Relic, Louisiana’s preeminent prog warlocks caused a storm across the planet earlier this year with their much-lauded follow-up, Rift. 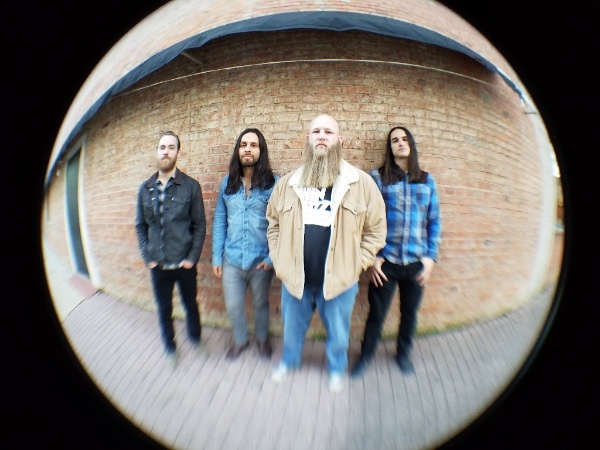 Originally formed in 2013 in Lafayette – a place with an impressive reputation for raising underground rock into realms of the unknown – Forming The Void became one of the city’s most talked about bands of 2017. With the release of their third album Relic, their colossal and atmospheric sound summoned the towering hard rock riffs and progressive influence of bands like Mastodon, Baroness and Torche. A distinctive sound that not only marked them out as ones to watch, but a sound that promptly earned them recognition as ambitious and gifted players. This entry was posted	on Monday, October 22nd, 2018 at 6:04 am	and is filed under Whathaveyou. You can follow any responses to this entry through the RSS 2.0 feed. You can leave a response, or trackback from your own site. There goes another 0.352 seconds.